"Really, South Carolina becomes the gate to the rest of the South and other states with similar demographics," said South Carolina political operative Jaime Harrison, an associate chair at the Democratic National Committee who's also exploring a run for Senate next year. 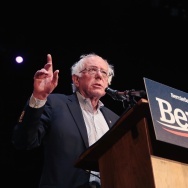 "The person who comes out first or second in South Carolina, particularly since the field so large, will really have a lot of momentum going into Super Tuesday." Booker repeatedly circled back to the call for unity that he's launched his campaign around. "When are we going to see that the cancer on the soul of our country is the divisions that exist between us in a nation that's united?" He asked the crowd in Winnsboro, S.C. "That claims to be one nation under God? We need to put the indivisible back in one nation under God." 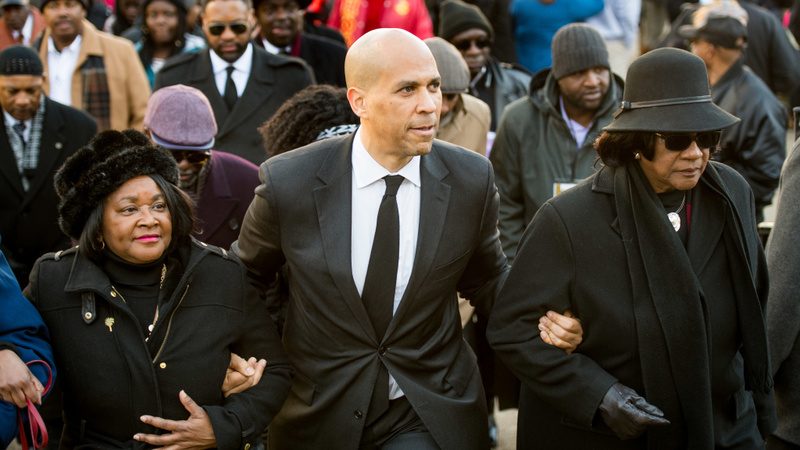 The crowds were all predominantly African-American, and often hung on every word as Booker delivered a stump speech tying his family's struggle to buy a house from racist realtors to iconic Civil Rights milestones like the 1965 Selma-to-Montgomery voting rights march.